Directions to Kever: Mount Hebron Cemetery in Flushing, Queens maintains computerized records and will provided a detailed location map upon request. Location: Block: 47, Reference: 4, Line: 11, Grave: 6, Society: HOUSE OF ISAAC, along the road. Rav Chaim Yoel Laks was born on the Lower East Side in 1921 where he attended Yeshiva Rabbi Shlomo Kluger and Mesivta Tiferes Yerushalaim (MTJ) through 10th grade. Thereafter he attended Manhattan Talmudical Academy and Yeshivas Rabbi Yitzchak Elchonon. 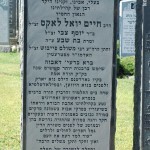 In addition to Rav Yankele Flantzgraben he studied under Rav Moshe Soloveitchik and later his son Rav Yosef Dov Soloveitchik, as well as Dr Shmuel Belkin. He started his rabbinic career as a Rav in New Haven, Connecticut and then Philadelphia, before finally settling in Kew Gardens Hills, NY where he served for over 50 years. For many years he enjoyed a close relationship with both Rav Moshe Feinstein and Rav Yosef Eliyahu Henkin. 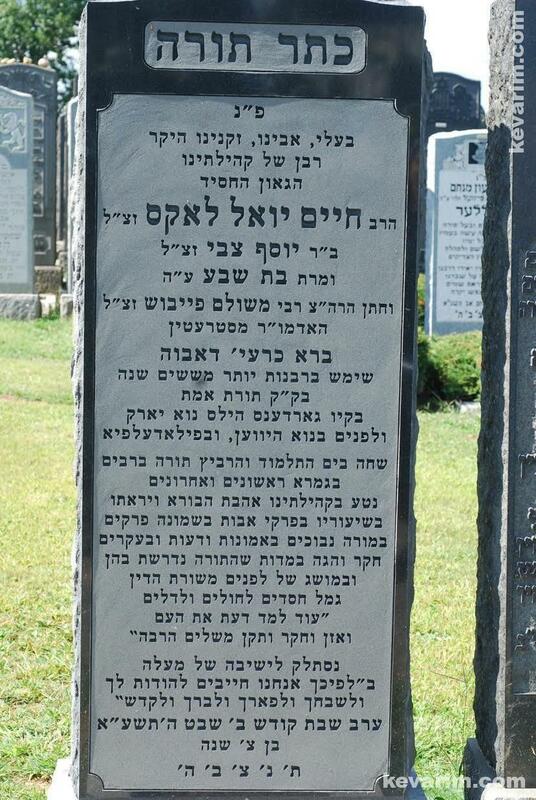 The Rav’s father-in-law was Rebbe Chaim Meshulom Feivish Langner, the Stretiner Rebbe of Brownsville, Brooklyn.